The Homestead Museum is located at 15415 East Don Julian Road, City of Industry, CA. 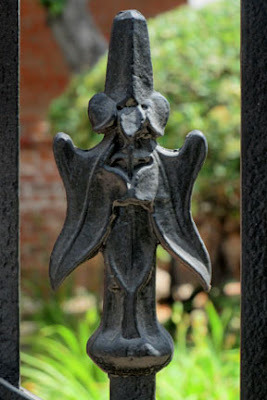 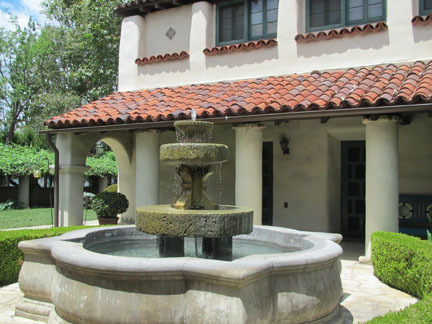 The six-acre site contains the Workman House, La Casa Nueva Mansion, El Campo Santo Cemetery, plus a visitors center and a gift shop. 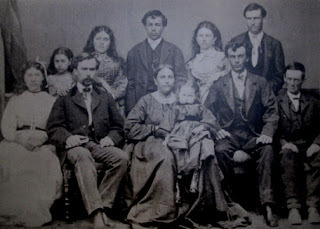 The above photo shows Antonia Margarita Workman de Temple (center) who was the wife of F.P.F. Temple (not shown) and was taken in 1870. El Campo Sano is one of the oldest private cemeteries in Southern California. 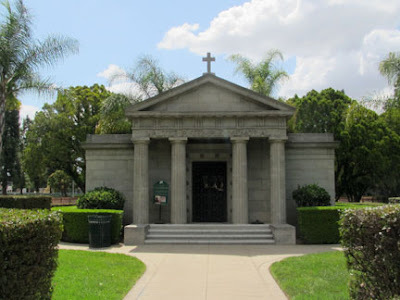 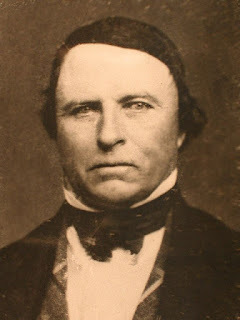 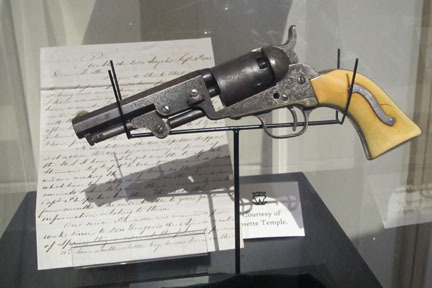 It contains the remains of Workman-Temple family members as well as the last governor of Alta California, Pio, Pico. 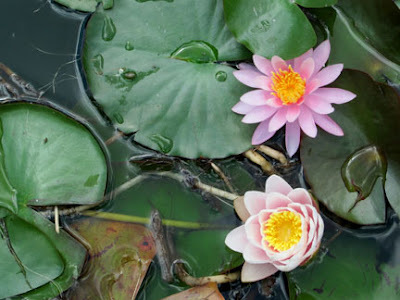 There was a Koi pond next to the cemetery that had some lovely blooming water lilies. 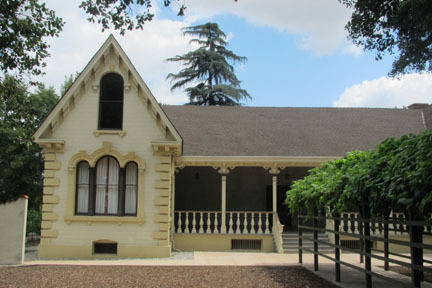 The 1870 Workman house was constructed around the original 1840s three-room adobe home. Historical marker: "In 1841, William Workman and John Rowland left Taos, New Mexico, to lead the first Southern California bound overland expedition that included American and European immigrants. 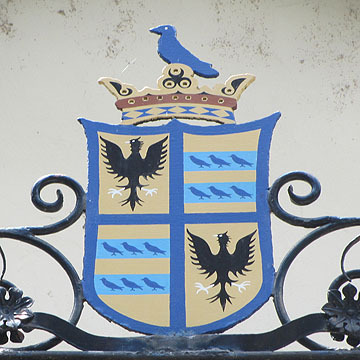 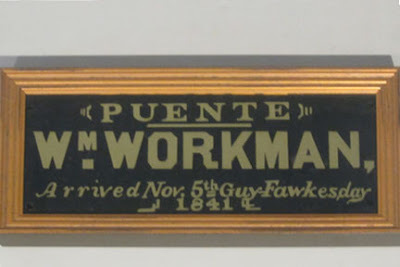 Shortly after arriving, Workman and Rowland acquired from the Mexican Government the 48,790 acre Rancho La Puente. 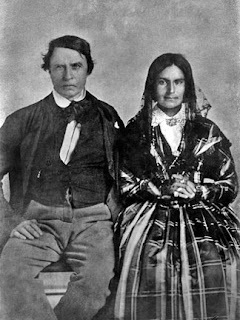 It was on the current Homestead site that the Workmans built an adobe residence. The family raised cattle until the 1860s drought, after which they grew wheat and grapes. 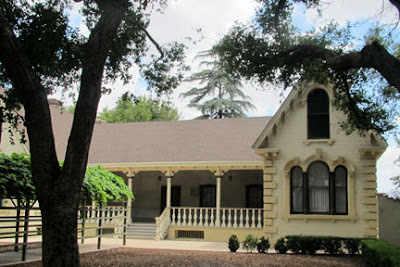 In 1872, Los Angeles architect E.F. Kysor remodeled the Workman house incorporating elements of popular mid-nineteenth century architectural styles." 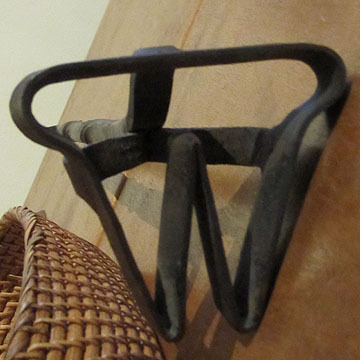 Since there was no refrigeration in the early 1800s, cattle raising was for the tallow (used in candles) and hides (leather), the meat was discarded. 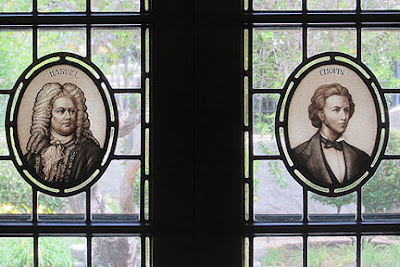 There were very few displays inside the Workman house. 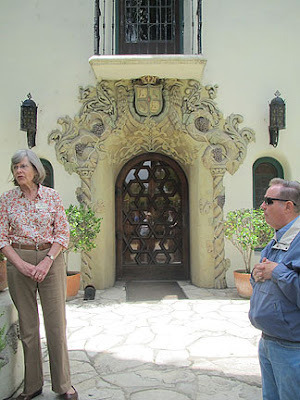 La Casa Nueva is a 1920s Spanish Revival mansion built by Workmans grandson, Walter Temple and his wife Laure. 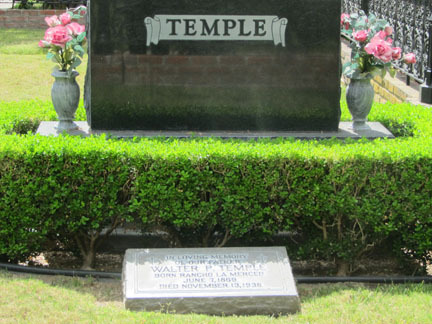 Historical marker: "Walter P. Temple Sr., William Workman's grandson,acquired considerable wealth in 1917 through profits from a Montebello Hills oil discovery. 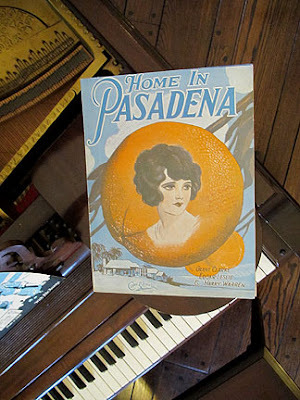 This new affluence allowed the Temple family to repurchase 75 acres of the original Rancho La Puente once belonging to Workman. 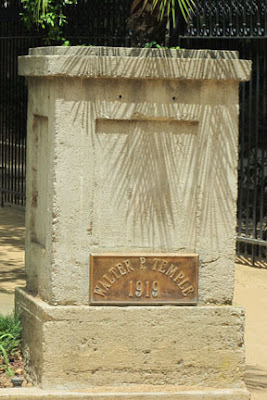 The Temples commissioned architects Walter and Eisen to assist them in designing a new house which they called 'La Casa Nueva.' Built between 1919 and 1923, this large Spanish colonial revival residence is noted for its fine stained glass, carved wood, glazed tiles, and wrought iron." 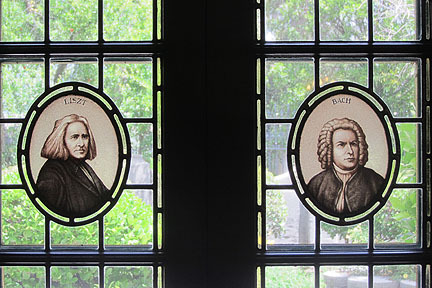 The music room has several stain glass portraits of noted composers. 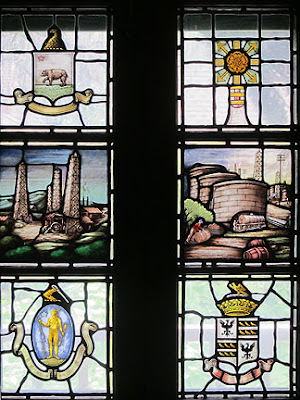 The sitting room has a unique stain glass showing where they obtained their wealth. 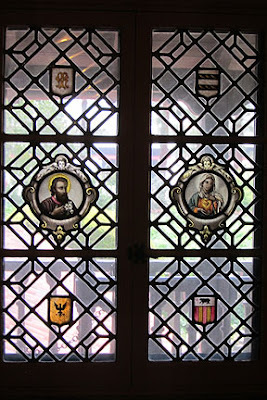 Many of the rooms had religious depictions in the stain glass. 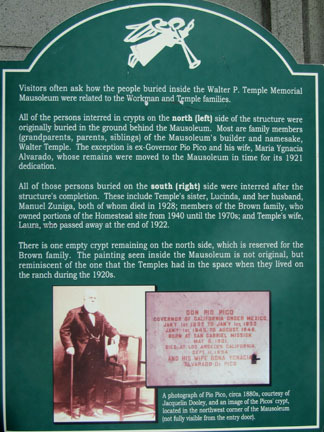 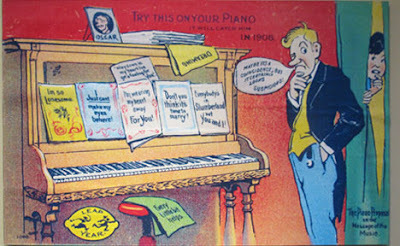 By the 1930s the Temple family was having financial problems that caused them to leave the Homestead. 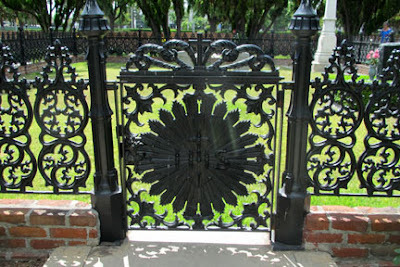 The grounds were used as a Military Academy which failed as the Great Depression worsened. 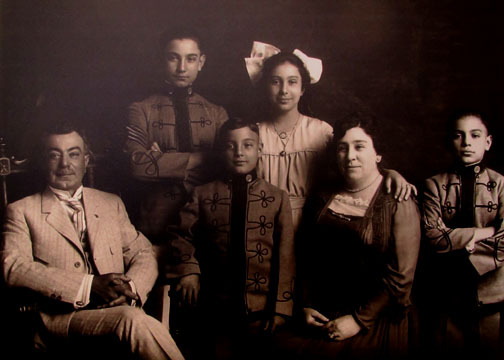 From the 1930s to the 1960s the site was a Sanitarium owned by the Brown family. In 1975, the City of Industry purchased the property and began major restorations. The museum was open in May of 1981.